Canakinumab, a drug normally used for inflammatory syndromes, has been tested on patients with high risks of heart attacks. Incidence dropped by 15% and need for invasive procedures declined by 30%. People who still have high risks of heart attacks, despite on a well-controlled cholesterol management, can look forward to a new therapy. In a gathering of the European Society of Cardiology, researchers from Boston-based Brigham and Women’s Hospital presented the properties of anti-inflammatory drug canakinumab against heart disease. The heart findings were published in The New England Journal of Medicine. Cardiovascular disease, often referred to as heart disease, involves a restricted flow of blood in blood vessels that can lead to stroke, chest pain and heart attack. People undergo changes in diet, get sufficient exercise and cease smoking to minimize the risks. An elevated level of cholesterol has been seen as the main culprit behind heart disease so cholesterol-lowering drugs like ‘statins’ are a necessity for heart patients. Heart disease is the leading cause of death worldwide and in the US. Every year, 635,000 Americans experience heart attack for the first time; those who survive have 40% chance of experiencing it again despite therapies. Researchers believe that lowering cholesterol alone is not enough to prevent heart attacks which has led them pursuing blocking inflammation as a strategy. Inflammation is the body’s reaction to an infection; the immune system signals white blood cells and other chemicals to attack foreign bodies like bacteria or viruses. However, inflammation is also implicated in non-infections like arthritis, autoimmune diseases and cancer. In cardiovascular cases, inflammation can do two extreme things: it can either lead to deposition of fats in blood vessels or rupture the fatty deposits to ease blood flow. Peter Libby, a researcher from Brigham and Women’s Hospital, is a pioneer in the study of inflammation as a factor for heart disease. 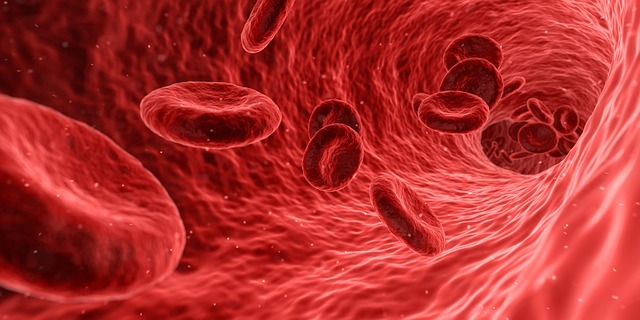 In animals, he found out that various molecules recruit immune cells like white blood cells to blood vessels, leading to inflammation and eventually atherosclerosis (hardening of arteries). Paul Ridker, also a researcher from the same hospital, started testing Libby’s results on humans to determine if such inflammation is really required for the onset of a heart attack. In patients, he found high levels of a molecule called CRP (c-reactive protein), which is a sign of inflammation. Statins, known to reduce cholesterol, is also observed to lower CRP levels and, in turn, reduce inflammation. However, both Libby and Ridker have not established if statins’ anti-inflammatory ability contributes in protecting heart function. To remove cholesterol reduction from the equation, they searched for drugs that purely work as anti-inflammatory. Not all anti-inflammatory drugs passed their criteria so they narrowed their search to canakinumab, a drug normally applied for arthritis and other inflammatory syndromes. This drug was chosen for its selective targeting of the interleukin-1b molecule, which has a role in starting an atherosclerosis event. The researchers then convinced the drug’s manufacturer Novartis to support their study, dubbed as CANTOS (canakinumab Anti-inflammatory Thrombosis Outcomes Study). 10,000 patients were part of CANTOS’ six year trial with only those who both had experienced heart attacks in the past and had high CRP made the list which was divided in two groups. One group was on high dose of statins and canakinumab (canakinumab was given through injection every three months) while the other group was on statins and placebo. After a year of trial, those on statin-placebo showed a 4.5% risk of a second cardiovascular event versus a 3.86% risk for those on the medium dose of statin-canakinumab. This meant patients were about 15% less likely to suffer a heart attack or stroke. The trial also found fewer cases of lung cancer in those on the treatment, prompting cancer researchers to cautiously say that the result was intriguing-nearly 2% of participants in the placebo group were diagnosed with lung cancer during the study compared with 1% on the treatment. But despite these figures, and although there was a double-digit drop in heart attacks, the percentages remain modest. Furthermore, and based on the study’s results, canakinumab as a drug is not viable for people who are having difficulty managing their cholesterol levels. Also, the medicine has a side effect of increasing the risk of rare fatal infections. What’s more, researchers strictly recommended this drug therapy only for people with high risks (those who both had a previous heart attack and high CRP). The drug’s price is also not helping: one infusion costs $16,000 and a one-year therapy amounts to $64,000. It should be noted that a second, federally funded trial of an old, cheap but less targeted anti-inflammatory drug called Methotrexate is also underway. Getting back to the CANTOS trial, while the 15% difference in heart attacks was a modest result, the 30% drop of participants in need of invasive procedures like stents or bypass surgeries after getting canakinumab, and the fact the results marked an important step forward in proving that blocking inflammation is a novel way to prevent heart diseases, made researchers excited about the study’s results.